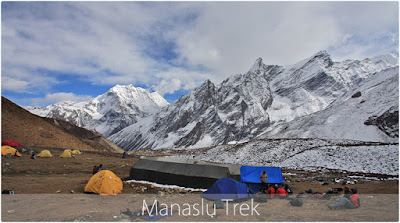 Manaslu Trekking is one of the most popular teahouse & camping trekking in Nepal which offers a unique opportunity to experience the Manaslu and Ganesh Himal areas lying in the north of Nepal neighboring to the Tibetan border. This area is relatively unknown to trekkers due to its relatively recent discovery in the 1950’s when Tilman first visited. 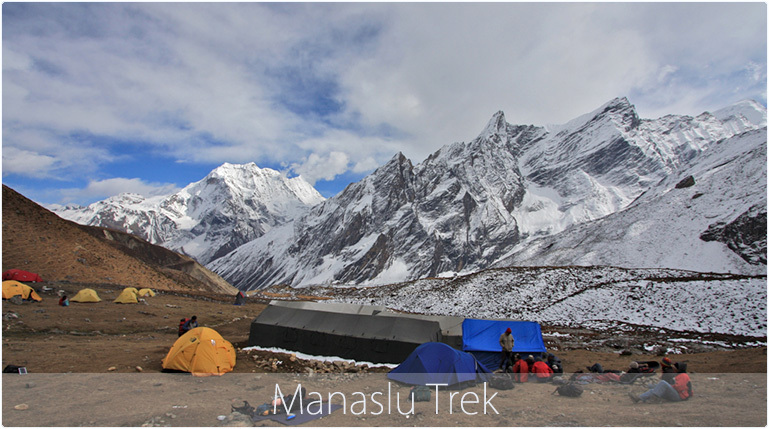 This is not to say that it is not famous; Manaslu is the seventh highest mountain in the world. Not only does it has an important place among the world's highest peaks, but also has a unique environment and exceptionally rich bio-diversity, which has made this region a fascinating destination. This area is full of unparalleled features such as enormous cultural diversity, natural scenery along with the majestic Himalayan ranges, a combination of fascinating flora and fauna and amazingly romantic high altitude glacier lakes. In spite of its recent opening in 1991, it has now become a pillar of Nepal's economic infrastructure. Manaslu and Ganesh Himal appear from a distant horizon to be shimmering mountains hanging, attaching only to the earth by thin silvers of mist. Terraces are supported by the foothills and lower valleys and water buffalo plough and provide milk and meat, reflecting the natural life of the villagers. Traditional homes found in this area are full of cultural handicrafts and paintings done in the traditional manner. During the blossoming season, bananas are abundant and cicadas gather in the trees. The trek to Manaslu through the Budhi Gandaki gorge is continuous ascents and descents, from which may arise a few problems for the inexperienced / new trekkers. Being an adventurous trekker however, you can meet thousands of other brave hearts irrespective of cultural difference. Day 15: jagat - beshisahar (760m) kathmandu 8 hrs. Day 16:transferred to international Airport and fly back.